Several years ago, we started looking into the best protein bar brands in Australia and across the world to see what provides the best bang for your buck. After all, our product quality guarantee isn’t there for show. We created our guarantee to keep our focus on supplying you the best products in the market. And we have applied that to the best protein bar brands as well. Protein bars, are used all over the world for providing athletes and fitness enthusiasts alike with viable nutritional alternatives. Protein bars come in hundreds of different versions and are available in a multitude of flavours. the truth of the matter is, there is much more to them than that. 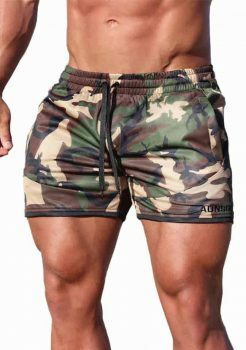 The market is flooded with various forms and presentations of protein bars, meal replacement bars, energy bars, dietary aids and weight loss bars. Because of this abundant variety, the market offers products that, although sold under the same label of ‘protein bar’, differ significantly. For example, a protein bar might be sold with a total protein content that ranges between 10 and 30 grams. Some shady manufacturers will even sell products under the guise of protein bar while incorporating very little actual protein in the formula. We the consumers must be constantly vigilant about these unethical practices. Therefore, we must do all in our power to learn and educate ourselves to make more informed choices. Our bodies need proteins to function correctly, and every single system in our organism requires the regular supply of proteins and essential amino acids to keep going. The proteins we eat are used by our bodies to develop, strengthen, and maintain skin, bones, and muscles. minerals found in a nutritious, balanced, and healthy diet. However, it is essential to note that health experts do not recommend using these products as complete replacements for a balanced diet. Energy bars are a kind of dietary supplement tailored for athletes and fitness enthusiasts who regularly require a large quantity of protein, and especially calories, to maintain high levels of physical activity. Diet bars, or weight loss bars, are a particular variety of protein bar that has a typically high content of fibres and proteins and is intended to be used as a weight loss aid. These bars usually contain the same amount of protein as two whole eggs or a tuna sandwich. You must always be aware that many bars made by unscrupulous companies will contain ingredients that are not listed on the ingredients list. For example, some protein bars will have high contents of added sugars, artificial sweeteners and even some sugar alcohols which are known for regularly causing upset stomachs. A recent study on the quality of protein bars and the truthfulness of their labels reported that across the incredibly wide range of prices, tastes, and nutritional values between brands. More than 60% of the products did not possess labels that accurately described their ingredient list. Consumer Reports conducted a study on nutritional bars and found incredible differences in price, taste and dietary values between the different brands. What they advise is to read the labels correctly. Only about 12% of the products met their labelling criteria entirely; with the majority of products containing undeclared amounts of carbohydrates, sodium, and saturated fats. Because the protein bar market is so susceptible to shady products, it becomes more critical than ever to take pause and assess the protein bars we ingest. Hence, after a bit of market research and more than a little taste testing, we present you what we consider Australia’s best protein bar brands. One of Australia’s premier protein treat brands, MacroMike has had an exceptional trajectory ever since its humble beginnings. MacroMike offers gluten-free, macro and vegan-friendly treats, such as protein bars, brownies, blondies, and even powdered peanut butter. All their products are made using only the best quality whole foods from around the world and with one driving philosophy in mind. To take those delicious, but unhealthy treats we all loved as kids, all those un-macro friendly foods that are typically rich in gluten and dairy, and completely and utterly transform them into something new, something exciting, but most importantly, something healthy. Anyone who has ever had to restrict themselves from their favourite foods will find something to like in MacroMike’s nutritionally balanced line of products. MacroMike’s protein bars are all animal product free, so vegan athletes can feel free to try them guilt and worry free. All of MacroMike’s products are Non-GMO and contain only 100% the highest quality natural ingredients. There are absolutely no artificial colours, flavours, additives, or preservatives to be found in any of their tasty treats. And when their label says a product is organically certified, you can rest assured that it is so. 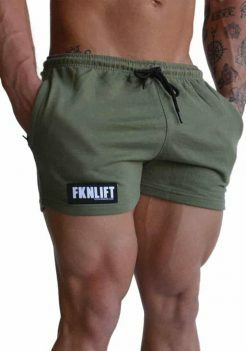 Their star product is their 100% vegan protein powder. Made from the highest-quality peanut protein and packed full of fibre, amino acids, and essential vitamins, and minerals. MacroMike’s line of protein bars, brownies, and blondies have a creamy texture and delicious taste. Optimum Nutrition is a brand of supplements that rise above the competition in a crowded market. Their state of the art protein products use only the highest grade ingredients and advanced formulation in the industry; as such, when Optimum Nutrition products are consumed only quality results are obtained. Optimum Nutrition counts with several specialised and dedicated manufacturing facilities that allow it to produce a top of the line range of products such as capsules, tablets, shakes, powders, and bars. The Optimum Nutrition line of products can be characterised by an uncompromising level of quality above and beyond that of industry competitors. A team of expert chemists will dose the Optimum Nutrition formulas in each of their fantastic products with ingredients that have been vetted for quality with a Certificate of Analysis. This Certificate of Analysis is then retested to ensure that nothing gets through the cracks. No other brand on the market can boast the level of quality that Optimum Nutrition does. 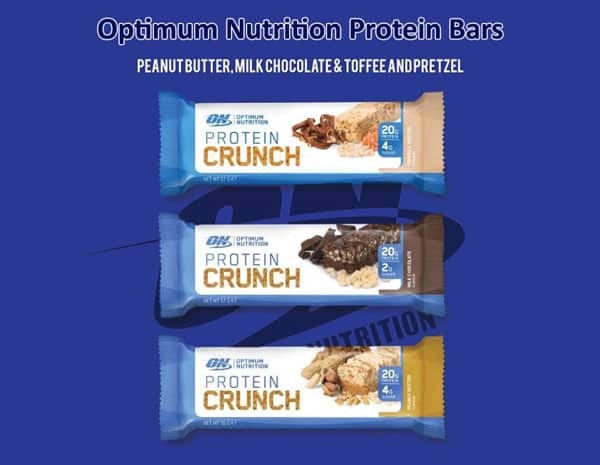 Their ever-increasing line of quality protein bars stands as a testament to their high standards for quality, and Optimum Nutrition protein bars are some of the best we have ever had the pleasure of trying. Their protein cake bites, crunch bars, and stix bars are delectably delicious. This one comes as a surprise to most people, but I think it makes perfect sense. If so many brands of protein bars try to sneak hidden sugars into our protein bars, why not let candy bar makers have a shot at making a quality protein bar? It turns out, that is precisely what the people at Mars have done. That unmistakable chewy interior, one of a kind caramel flavour and delicious chocolate that you love, that delicious crunch of peanut and nougat, are now being boosted with up to 19 grams of high-quality, high-grade protein. The best part is that you don’t have to give up on your diet by eating these bad boys, at less than 200 calories, Mars and Snickers protein bars are perfect for that after-gym snack. Regarding calories and protein, these protein bars are comparable to the highest quality products in this crowded bar market. And with such low-calorie cost, thanks to the use of minimal added sugars and artificial sweeteners, these new candy-flavoured protein bars will satisfy your sweet tooth while providing you with staying power, energy, and all the protein your muscles need. Consuming protein bars before or after exercise has become the norm, and for a good reason. But you should know that the only way to safely consume protein bars is to use them as supplements to balanced nutrition, never as a complete substitute. Remember that many unscrupulous brands will pack their protein bars with unhealthy ingredients and tons of added sugars, sometimes upwards of 20 grams. Many brands also sell products that are incredibly high in calories, with some products containing more than 50 grams of carbohydrates. Do not eat protein bars as a remedy for vitamin or mineral deficiencies. However, you can feel safe in knowing that these the products sold by MacroMike, Optimum Nutrition, and Mars are some of the highest quality protein bars on the market. They are also manufactured by the best protein bar brands in the market.